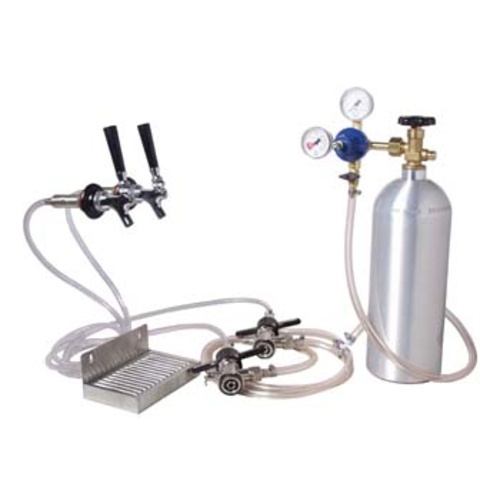 Just like our popular D1000 but with enough hardware to allow for two kegs to be tapped at the same time. My brother in law owns a brewery and recommended this system. Andy Patalano in the store was very helpful and let me know what I would need to convert a fridge to kegerator. Wonderful customer service. Best deal with co2 tank I could find and free and fast shipping.